AMSOIL has the oils for your bike! AMSOIL has the lubricants and filters for your bike. AMSOIL provides the best protection from heat so you can ride hard and run cool. AMSOIL also provides a good smooth running engine. AMSOIL has great oils for your street bikes and for your dirt bikes. 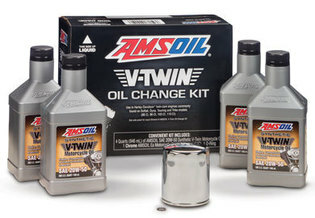 AMSOIL 20W50, SAE 60, 20W40, and 15W60 for V-Twin along with transmission fluid and primary fluid. For your Metric bikes, AMSOIL has 10W40 AND 10W30. AMSOIL also has a great line of engine oils for dirt bikes 10W40, 10W50,10W60 and a transmission fluid. AMSOIL also has a complete line of oil filters.